Get ready for some serious chipmunk cheeks! 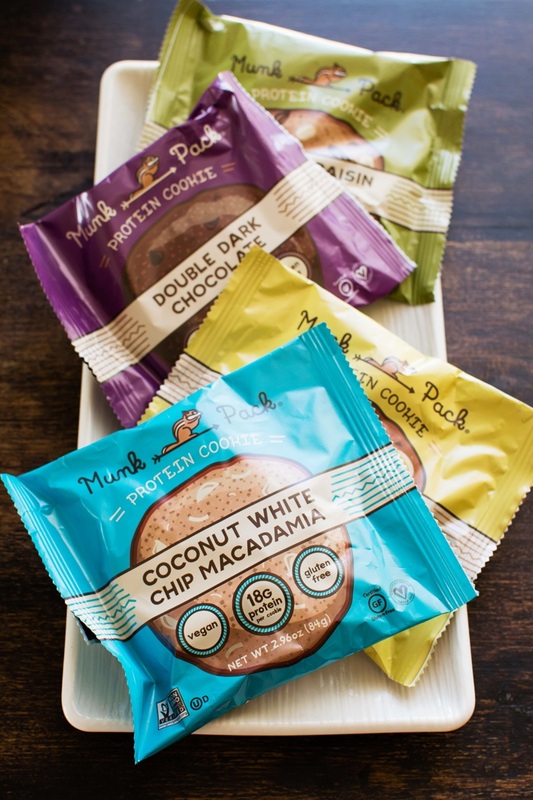 Vegan protein cookies are all the rage this year, and Munk Pack Protein Cookies have climbed the totem pole of satisfaction. These soft baked treats are BIG and very thick, with an indulgent cookie meets healthy energy bar vibe. I wasn’t sure what to expect from these cookies. After all, formulas can be tricky when you remove eggs, dairy, and gluten AND pack in protein. But they didn’t disappoint. Munk Pack Protein Cookies contain 18 grams of protein per full cookie, which is actually 2 satisfying servings. They are a little lower in sugar than your average jumbo cookie, but these aren’t a completely low sugar treat either. Each serving contains 8 to 9 grams of sugar, or 16 to 18 grams per jumbo cookie. 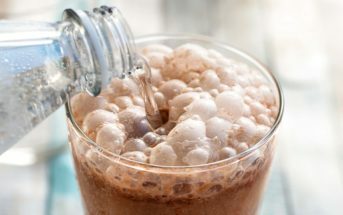 But they are free of sugar alcohols and stevia (cane sugar and just a touch of monk fruit extract are used to sweeten). So the sweet taste is more authentic and comforting than many other brands. Of course I reached for the “White Chip” flavor first. It’s a dairy-free novelty that piqued my curiosity. The cookie was thick, soft, chewy, sweet (but not too sweet) and downright fun. 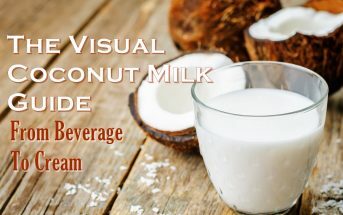 My eyes honed in on the “white chip” part of the title, and glazed over the “coconut.” So I was a bit surprised when I bit into flavorful shreds of coconut. But somehow, it really worked with the generous smattering of white chips throughout. This isn’t a Mrs. Field’s cookie – nor should it be. But for a protein cookie treat, it’s pretty darn good. Ingredients – peanut butter, white chips (sugar, sustainable palm kernel and palm oil, natural flavor, sunflower lecithin, salt), brown rice protein, turbinado sugar, gluten free oat flour, coconut flour, vegetable glycerin, coconut flakes, macadamia nuts, brazil nuts, gluten free oat fiber, natural coconut macaroon flavor, baking powder, xantham gum, sea salt, sunflower lecithin, monk fruit extract. Contains: peanuts, coconut, macadamia nuts and brazil nuts. Made in a facility that processes peanuts, tree nuts, soy, wheat, milk and egg. This cookie had the same soft, thick, chewy texture as the White Chip but with a deeper chocolate flavor. It definitely fits the dark chocolate bill, but is still sweet enough to avoid any bitterness. I thought I detected hints of cinnamon, but this is a pure chocolate cookie with just a touch of green tea extract, of all things. I thought it was quite good, but a hint chewier than the White Chip and it seemed like the flavor needed just a little more oomph. Perhaps another pinch of salt would do it. 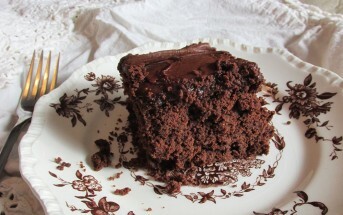 Nonetheless, I could see this being a go-to sweet snack for many chocoholics. Ingredients – peanut butter, dark chocolate chips (cane sugar, chocolate, cocoa butter), turbinado sugar, brown rice protein, gluten free oat flour, vegetable glycerin, dutch cocoa powder, gluten free oat fiber, natural chocolate flavor, baking powder, natural vanilla flavor, xantham gum, green tea extract (decaffeinated), sea salt, sunflower lecithin, cinnamon, monk fruit extract. Contains: peanuts. Made in a facility that processes peanuts, tree nuts, soy, wheat, milk and egg. I expected a heartier experience in this cookie, and it delivered. Each bite was thick and generally soft, but with a much firmer and less “chewy cookie” style than the others. It was a little dense, and might fit a thinner cookie style a little better. However, I loved all of the spice that boldly emerged for the warm, sweet flavor. It could use just a smidgen more salt to balance and really make the flavor pop, but it was still rich. The raisins aren’t full-size, like I expected. Instead they are immersed in the cookie, affecting the flavor more than the texture. 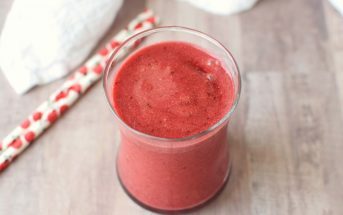 Ingredients – peanut butter, turbinado sugar, gluten free oats, raisins, brown rice protein, gluten free oat flour, vegetable glycerin, cinnamon, gluten free oat fiber, baking powder, xantham gum, green tea extract (decaffeinated), sunflower lecithin, sea salt, nutmeg, cloves, monk fruit extract. Contains: peanuts. Made in a facility that processes peanuts, tree nuts, soy, wheat, milk and egg. This classic flavor is a natural for vegan, gluten-free cookies, and it works just as nicely as I expected. Like the White Chip, it’s soft, thick, and chewy, with loads of little chocolate chips throughout. For an extra-peanutty experience, it contains tasty little peanut bits, too. It isn’t quite as indulgent as a full blown peanut butter cookie, but still offers a treat-like experience. Although my loyalties still lie with the White Chip, the Peanut Butter Chocolate Chip was a close second. And I could easily see this flavor being a top seller due to it’s generally broad appeal. Ingredients – peanut butter, turbinado sugar, dark chocolate chips (cane sugar, chocolate, cocoa butter), gluten free oat flour, brown rice protein, peanuts, peanut flour, vegetable glycerin, gluten free oat fiber, baking powder, natural peanut flavor, natural vanilla flavor, sea salt, xantham gum, green tea extract (decaffeinated), sunflower lecithin, monk fruit extract. Contains: peanuts. Made in a facility that processes peanuts, tree nuts, soy, wheat, milk and egg. Price: $2.80 per 3-ounce protein cookie. Availability: Munk Pack Protein Cookies are available online, via their website (below) and other retailers like Amazon. 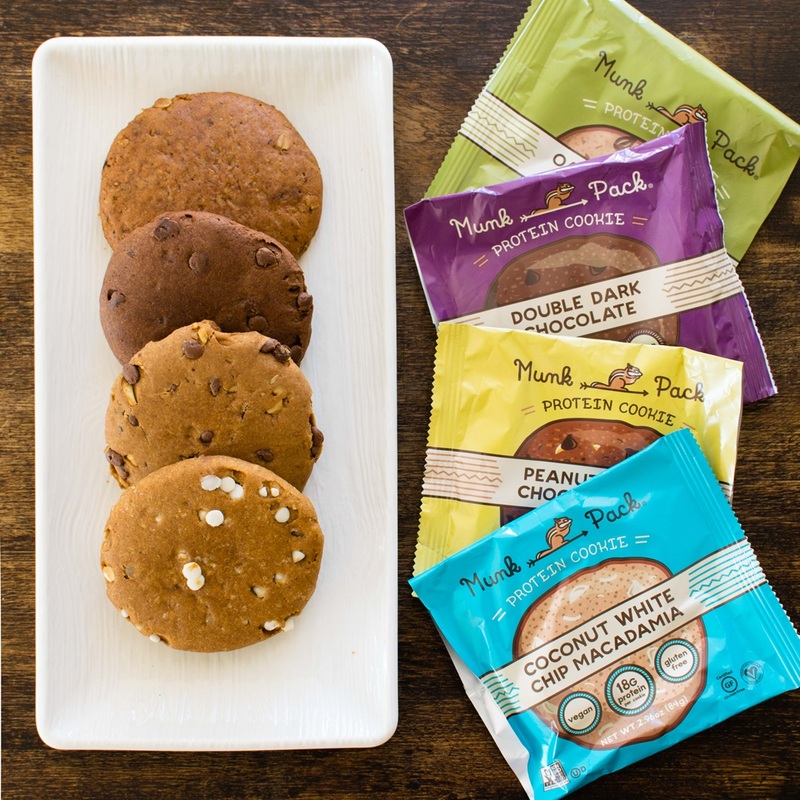 They are also sold in select stores in the U.S.
Certifications: Munk Pack Protein Cookies are Certified Vegan, Certified Gluten Free, Non-GMO Verified, and Certified Kosher-D. The “D” in this case appears to be for manufacturing processes, not ingredients. See our kosher labeling guide for a better understanding. 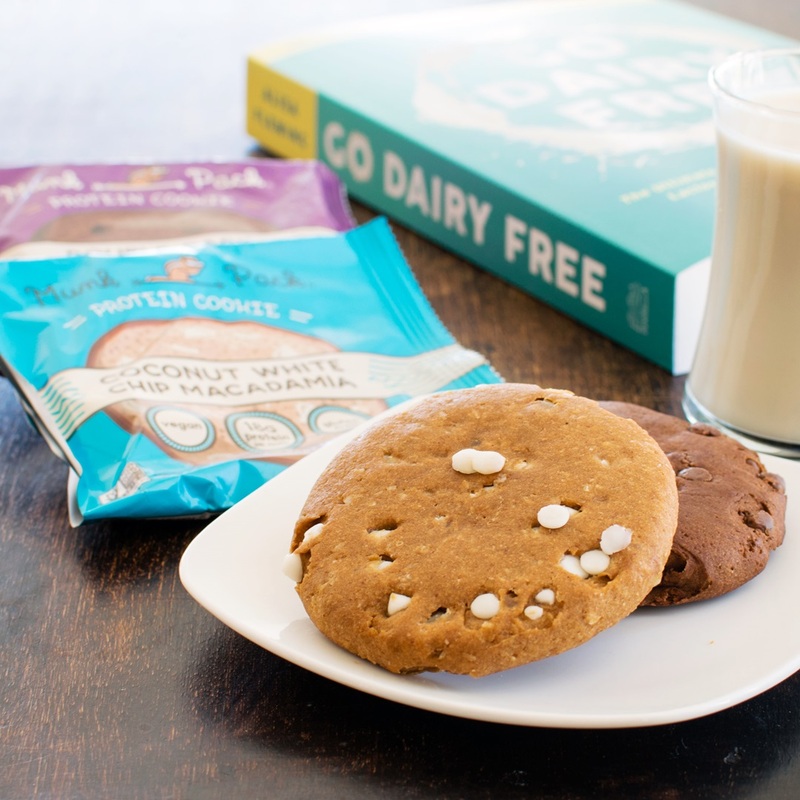 Dietary Notes: By ingredients, Munk Pack Protein Cookies are dairy-free / non-dairy, egg-free, gluten-free, soy-free, vegan, and vegetarian. Select varieties are made without tree nuts, but all are made with peanut. Nonetheless, always read the ingredient statement and check with the company on their manufacturing processes for all varieties if potential allergen cross-contamination is an issue for you. Processes, ingredients, and labeling are subject to change at any time for any company or product. 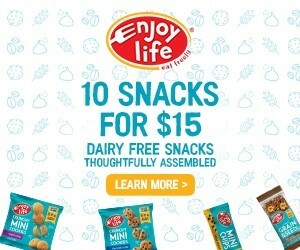 For More Product Information: Visit the Munk Pack website at munkpack.com. 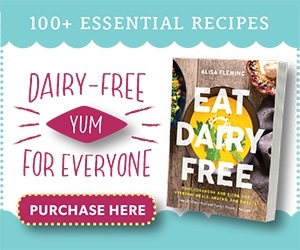 Enjoy Munk Pack Protein Cookies with Homemade Dairy-Free Milk from Go Dairy Free: The Guide & Cookbook!